Shane Deane was the winner of the 2012 'Knorr Student Chef of the Year' title, following a 10 finalist 'cook-off' in Cork, featuring some of Irelands most talented student chefs. Shanes prize includes a specially commissioned perpetual trophy to commemorate the 15th year of the competition, a fantastic food-photography experience with one of the UK's most acclaimed food photographers, Gareth Morgans, and an evening of gastronomic greatness in Heston Blumenthals multi-award winning 'The Fat Duck Restaurant'. Now in its 15th year, the Knorr Student Chef of the Year is the biggest competition of its kind in Ireland and has become a respected and keenly fought contest in the Irish culinary world. It is an excellent opportunity for student chefs to showcase their talent, love of food, creativity and innovation and past winners have gone on to acclaimed professional success. Commenting on the high calibre of entries, Mark McCarthy, the Unilever Food Solutions Business Development Chef remarked on the incredible talent coming through the ranks of Irelands colleges and said "the standard of entries we received this year has been really fantastic....although diners are becoming much more adventurous in their food taste, that are also becoming more appreciative of where their food comes from, which makes this years challenge particularly pertinent". 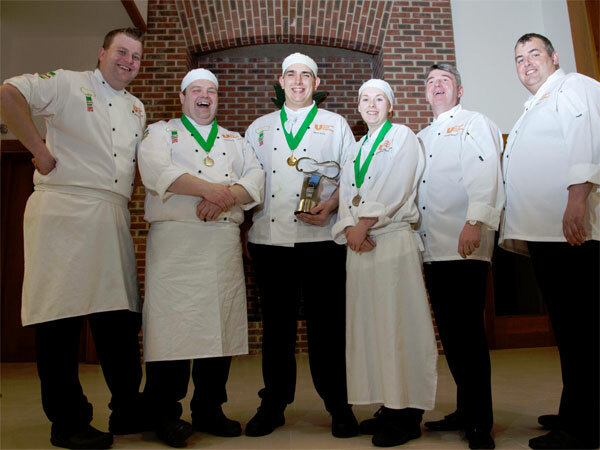 The theme of the 2012 competition was 'Irish Fusion' and students had just 2 hours to create a starter and a main course, taking inspiration from different regional cuisines around Ireland and using at least two Knorr products. The starter dish also had to demonstrate a taste of the sea and this was keenly watched by guest judge Martin Shanahan, TV presenter and chef-proprietor of Fishy Fishy in Kinsale. Shane prepared pan-fried fillet of Gurnard with gazpacho tagliatelle and clams for his starter and a Seared Loin of Wild Venison with Waterfall Farm Vegetables, Nettle and Wild Garlic Essence for his main course. commenting after his win, Shane said "I'm still in shock after hearing the judges call out my name as winner!...I have the highest respect for all of the other finalists who cooked here today- they are incredible"